The Australian dollar has dominated its G10 rivals over recent weeks and this should continue near-term argue HSBC and NAB, However, the story changes the further ahead we look. Within the space of a month fortunes have swung decidedly in favour of the Australian dollar. In the first six weeks of 2016 the big market stories were low commodity prices and a ‘slowing’ China. 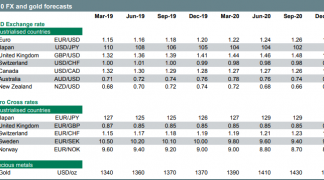 This left the AUD and NZD as the two worst performing currencies in G10 and analysts were confident that more losses lay ahead as the theme of falling commodity prices continued. Come March and how sentiment has changed; the AUD has hit its best level vs the USD since August 2015 at 0.74. The Aussie is around its best level against the pound since April 2015. While the Australian economy continues to pump out decent data releases, the strength in AUD of late can not be attributed to data alone it is argued. 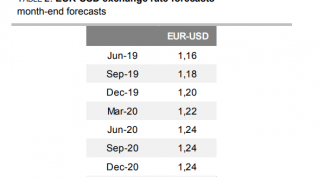 “The driving factor behind these moves appears to have been changes in general risk sentiment, rather than anything specific to the AUD or NZD,” note HSBC in a currency outlook briefing to their customers. HSBC believe the risk on / risk off (RoRo) paradigm is starting to strengthen again, and the AUD has responded accordingly. “When RoRo is dominant assets lose much of their individual characteristics and their fate is determined by general risk moves,” note HSBC. So when stock markets and commodity prices are rising we can confidently bet the Australian dollar will be following. It is important to note that this is ‘more true’ at given periods of time and what is important to note is that we are at a period of time in which RoRo is exerting more of an influence once again. So, if risk sentiment matters for the Aussie, where do analysts see regarding the outlook for general risk sentiment? Whilst there are many factors which can determine the market’s appetite for risk, HSBC argue developments in the price of oil are likely to be of critical importance. Analysis conducted by the bank suggest that has resulted in a ‘core view’ that the price will remain broadly stable this year, in line with the futures, which should support the AUD and NZD. 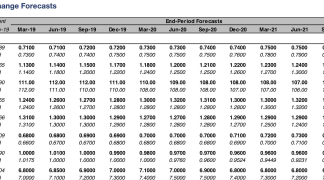 HSBC do however forecast the AUD to weakening slightly and they hold a AUD/USD target at 0.70 by the end of 2016. Analysts see NZD-USD moving sideways, flat at 0.68 throughout the year. The move will probably be aided by a failure of global risk sentiment to sustain the improvement seen in recent weeks argue NAB. “Our Q4 2016 forecast stays at 0.67. Yet in the immediate future, it is going to take some sort of shock if the 0.7830/80 levels are not going to be approached or tested,” say NAB. Despite AUD's recent appreciation, analysts at investment bank Morgan Stanley maintain their long-held view thatAUD will weaken this year and next as the RBA cuts more than market expectations and China's slowdown weighs on the Australian economy. In their Spring Global FX Outlook note to clients Morgan Stanley say recent labour market strength overshadows the still weak underlying economy and our expectations for the housing market call for easier monetary policy and a weaker currency to help boost growth. "Some investors look at a few recent improvements and the RBA's constructive outlook as evidence that AUD's adjustment is essentially done," say Morgan Stanley, "we disagree. 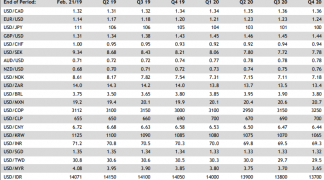 4Q15 capex data point to another 7% fall in non-mining capex in FY2017, implying that the transition towards the non-resource sector will take longer." Unless we see a boost to China's growth or a material improvement in Australia's economic outlook, Morgan Stanley say they remain long-term sellers of AUD.